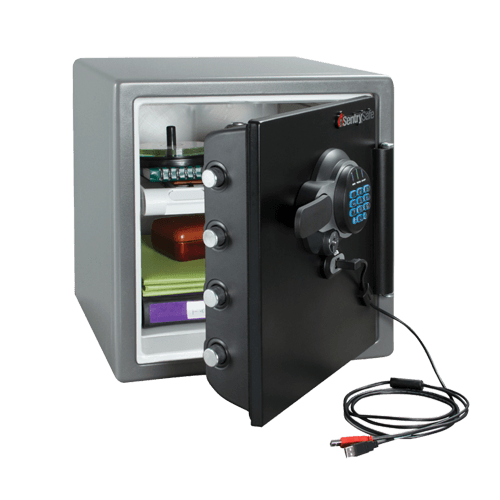 SFW123GTF Digital Fire/Water Safe is rated 4.0 out of 5 by 1. 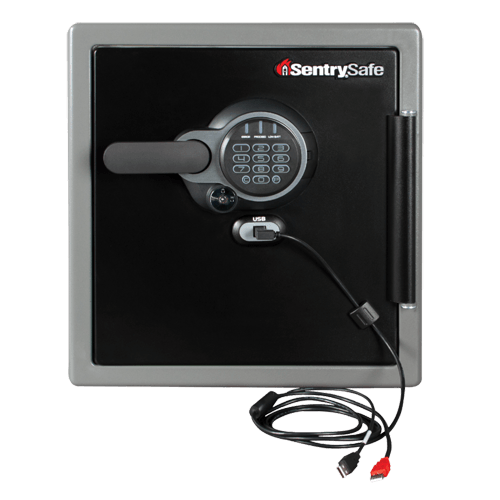 Protect your important documents, digital media and other valuables with a programmable digital lock, four large, one inch bolts and a pry-resistant hinge bar to help prevent theft of irreplaceable items. 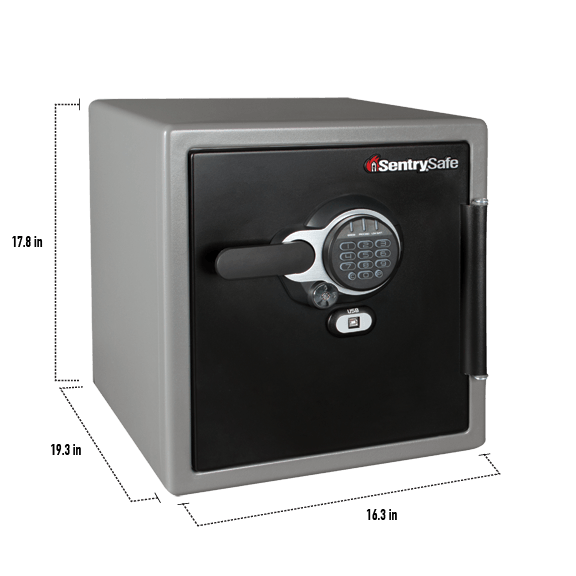 The SFW123GTF also offers USB connectivity that allows you to secure your USB and hard drives while they are in use. Interior key rack, door tray and door pocket help keep contents organized during storage. 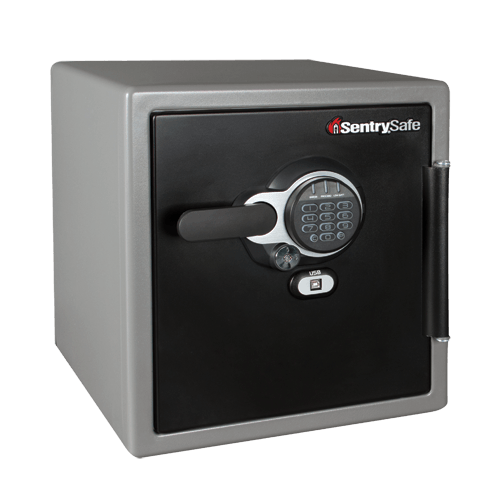 Keep USB drives and portable hard drives secure while in use in your locked safe.